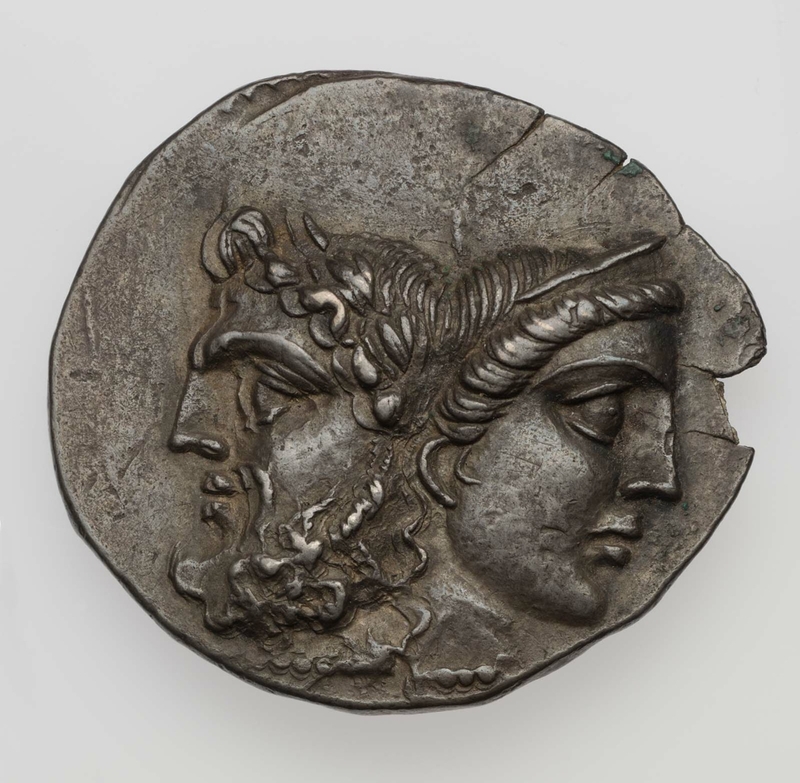 Obverse: Janiform head: laureate Zeus to left, Hera with stephane to right. 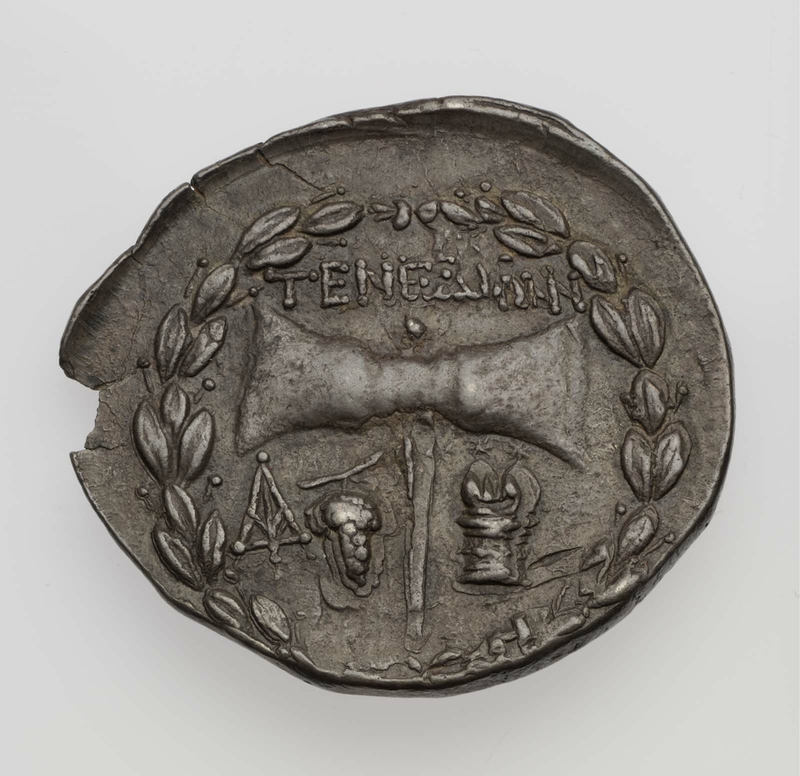 Reverse: Within laurel wreath, double axe. In field at left, a bunch of grapes. At right, cista mystica? topped by two stars. Inscription in Greek above axe. Monogram in field at left. Split in striking and slightly double-struck. By date unknown: S. Pozzi Collection: by 1920: with Naville & Cie., 6 and 8 Rue Pécolat, Geneva, Switzerland (auction of the Pozzi Collection, Galeries Fischer, Lucerne, Switzerland, April 4ff., 1921, lot 2288); by date unknown: R. Cyril Lockett Collection (SNG, no. 2742); by 1961: with Glendining & Co., Ltd., 7 Blenheim Street, New Bond Street, London, W. 1 (auction of the Lockett Collection, part 12, February 21-23, 1961, lot 2216); by date unknown: with Robert E. Hecht, Jr.; December 8, 1965: purchased by MFA from Robert E. Hecht, Jr.